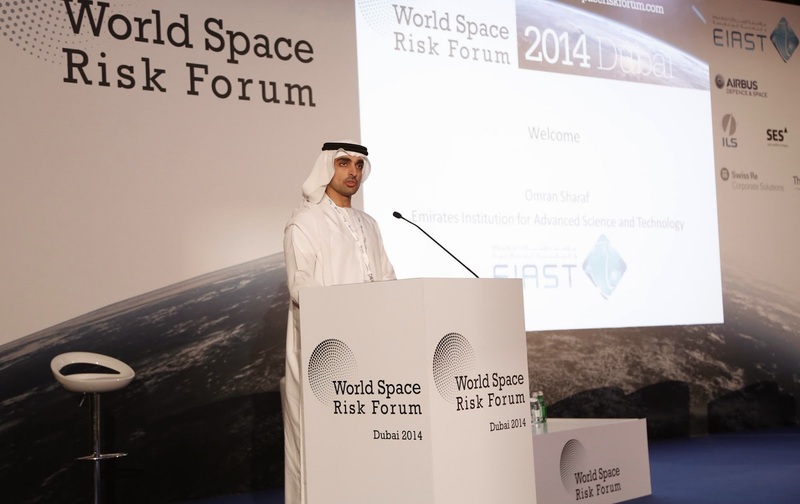 EIAST participates as Strategic Partner for World Space Risk Forum 2014. ]UAE, May 13, 2014[– The Emirates Institution for Advanced Science and Technology (EIAST) has announced its participation as Strategic Partner for the World Space Risk Forum 2014, which will take place from May 13 to 15, 2014 at Raffles Dubai, UAE. The globally established biennial event, which brings together leading professionals representing all aspects of the aerospace industry, will provide international exposure to the UAE’s space program. The World Space Risk Forum 2014 is a perfect platform for the UAE to build up its profile in the global space industry. The event will be vital in highlighting the country’s space program to an audience representing international space communities and foreign governments. Omran Sharaf, Director of Image Processing and Analysis Department, EIAST gave a welcome message during the event’s opening ceremony. Moreover, Adnan Al Rais, Head of Office of Products Utilization, EIAST will lead the Focus Group Panel, under the theme ‘Growing Up in Space,’ which takes place on Day 2 of the conference (Wednesday, May 14, 2014) at the World Space Risk Forum 2014. The conference will provide a series of unique insights about successful entry of companies, namely: EIAST, Es’hailSat and SSTL, into the commercial space market, focusing on each company’s approach and lesson learned. The panel also discussed how these companies continue to remain competitive in the increasingly crowded commercial space industry. The delegates visited the EIAST headquarters, where they were briefed about EIAST projects, including DubaiSat1, recently launched DubaiSat2, and KhalifaSat – 100 per cent Emirati satellite to be launched in 2017. The group also toured the facility, which will offer tremendous prospects to EIAST to build up its clients and suppliers list, including space insurance companies. Omran Sharaf, Director of Image Processing and Analysis Department, EIAST during the forum. The World Space Risk Forum brings together 500 top space executives from more than 30 countries. It will address a wide range of issues faced by space ventures, including technical, financial, business, environmental, economic, and regulatory as well as related to software and production. The forum will provide an excellent opportunity for all service providers, insurers, government representatives, brokers, financiers, attorneys and academics to gather and discuss ways of making space a safer place to visit, explore, live and do business. For more information, log on to: http://worldspaceriskforum.com/2014/. EIAST launches ‘Super Resolution Tool’ that enhances resolution & clarity of satellite images. Developer Eng. Saeed Al Mansoori achieves major technological and scientific innovation. 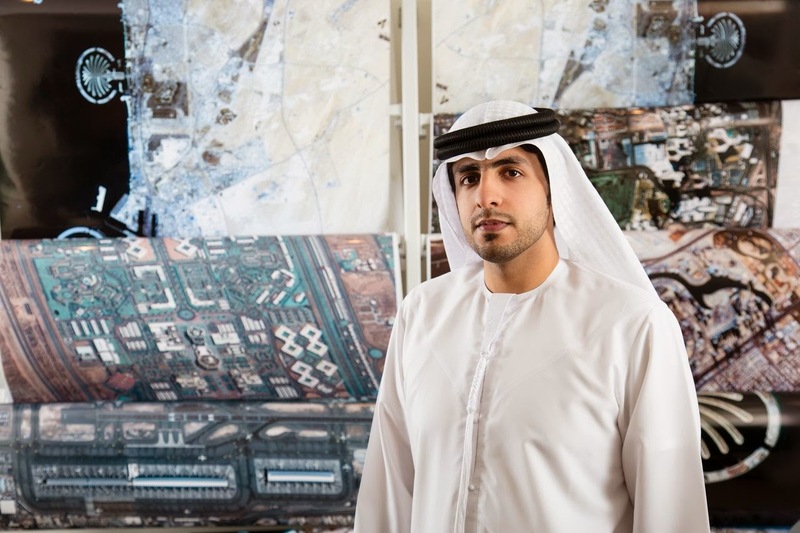 ]UAE, May 11, 2014[– The Emirates Institution for Advanced Science and Technology (EIAST) revealed that ‘EIAST Super Resolution Tool’ developed by Saeed Al Mansoori, an Emirati engineer involved in EAIST’s center of application and analysis development project, has boosted and enhanced the resolution of satellite images – including those taken by DubaiSat-2 – by 0.75 meters. The innovative tool significantly improves the image details by increasing the number of pixels when zoomed in. This subsequently enhances the degree of contrast and highlights the edges and borders that represent infrastructures, roads, and buildings, among others. Eng. Saeed AL-Mansoori, associate image processing Engineer in the Applications Development and Analysis Center at EIAST. For his part, Al Mansoori said his success was made possible because of the strong support received from the leadership to promote space industry in the emirate. He praised EIAST for encouraging technological creativity and scientific innovation among citizens as key to propelling Dubai into one of the most developed nations in the world. British Council to host English Language Training (ELT) Tour featuring 12 UK universities on May 8 in Dubai. 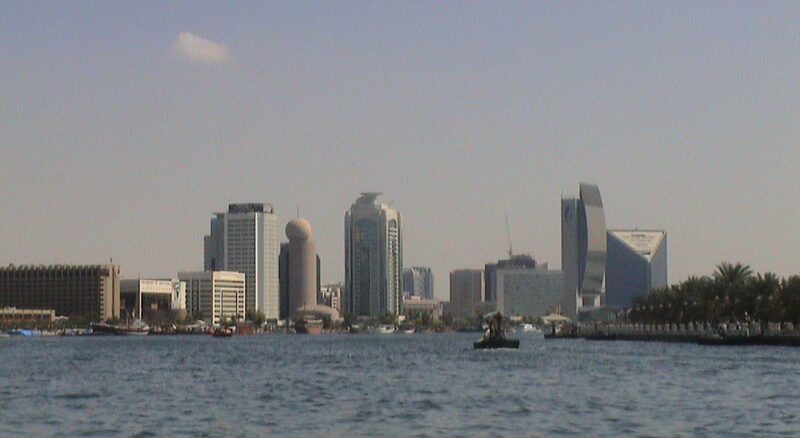 Dubai, UAE, 6th May 2014: The British Council, the United Kingdom’s international organisation for cultural relations and educational opportunities, estimates that globally one in seven peopleis learning English and around 750 million people use it regularly. These estimates were releasedduring the British Council’s announcement of its English Language Training (ELT) tour which will be held in Park Regis Hotel in Dubai on Thursday May 8. The tour will feature more than 12 UK universities targeting schools and individual candidates. The British Council recommends that learners choose a course conducted by an organisationthat is accredited, in order to ensure highest standards and maximum efficacy of the learning process. Some of the participants in the tour include University of Leeds, Cavendish School of English, Cambridge Regional College, Kingston College, University of Worcester Language Centre, Alpha Omega College, Harrow College, The University of Sheffield, Guildford College of Further & Higher Education, York Associates, Capital School of English (Bournemouth) and English UK. “Enhancing English language skills allows our students to tap greater opportunities in life professionally and personally,”Mr. Jessel added. The British Council contributes to the economic development of businesses in the region through English.As a world authority in the English language,the British Council works across a wide range of English teaching and assessment services, as well as with ministries of education to improve the English language teaching in education institutions around the world. “The ELT tour demonstrates the British Council’s commitment to supportingthe journey of learning of English in the UAE. We expect a good response to the tour and look forward to fruitful interaction with learners and representatives from learning institutions, and this will contribute to the betterment of learning of English in the UAE,” Mr. Jessel said.